The Alumni Association is governed by the Alumni Council, which consists of the officers of the Association and at least four other alumni, totaling a minimum of seven members. Three officers are appointed to the Council who serve two-year terms in each position. One member of the Alumni Council will be designated for a three-year term by the Executive Committee of the Alumni Council and the Board of Trustees to serve as the Alumni Council Representative to the Board. Alumni Council members may serve up to three consecutive two-year terms. Based on nominations from the Council, members are selected by committee, which includes the Head of School, Director of Development and the Director of Alumni. The Council meets twice yearly, once in the fall for their organizational meeting and then in the spring. Members are also expected to assist and participate if possible in regional gatherings, annual career series, Alumni Weekend, and July Volunteer Work Day (with an opportunity to stay for the weekend). All are encouraged to coordinate a community service project in their area. The Council also serves as a communication arm of the Alumni Office. Alumni interested in serving on the Council may contact the Alumni Office. Pictured at the Fall 2018 meeting, from left to right: Claire, Dirk, Tom, Aggie, Ben, Ansley, Martha, and Terry. Beginning in the 2019-2020 school year, the Alumni Council will offer their Career Series workshops for SAS seniors on a yearly basis. The series includes a variety of best practices for entering the job market. It is coupled with a formal etiquette dinner that is held in conjunction with the senior year programming. Alumni interested in participating in the Career Series should contact Director of Alumni Lizzie Duncan. There are many volunteer opportunities for all alumni regardless of proximity to the SAS campus and regional events. You may request the SAS Volunteer Guide to learn more. Below are a few ways alumni may involve themselves with the school. Please contact the Alumni Office if you have interest or would like further information. Alumni Council membership provides an excellent avenue of service to the school with a focus on communications. Any alumni interested in participating on the Council should contact the Alumni Office for further details. Reunion Leaders are needed to provide leadership for those classes celebrating their 5th, 10th, 15th, 20th, 25th, 30th, 35th, 40th, 45th, and 50th reunions. Classes celebrating reunions above their 50th are also welcome and encouraged to gather. The two most important aspects of the Reunion Leader's job are communication and inspiration. 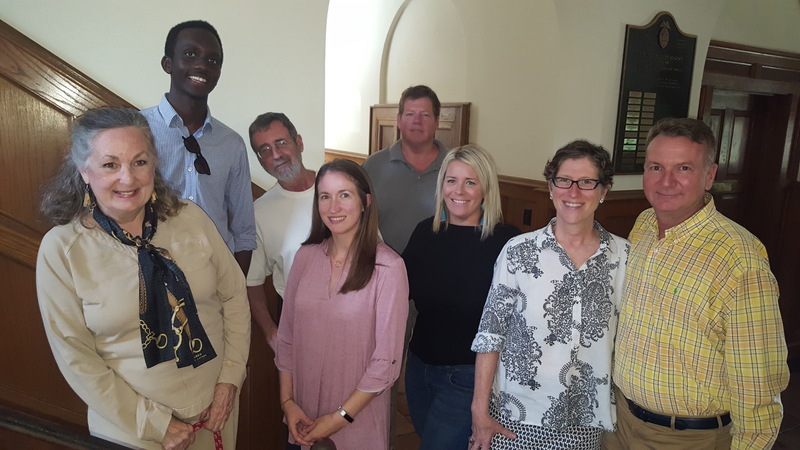 Reunion Leaders work directly with the Alumni Director to disseminate information, spark the emotional flame to return to the Mountain and find lost classmates, ensuring a memorable reunion weekend. Community Service Projects are held in various regional cities and all alumni within the area are encouraged to attend. The events are both social and outreach oriented with family participation encouraged. Non-council members are encouraged to organize these events in their area and any alumni interested in hosting such a project should contact the Alumni Office. The SAS Alumni Campus Summer Work Day is sponsored by the Alumni Council each summer. The day includes two morning projects, a restful lunch in the quad, and a shorter afternoon work session followed by a cool swim in the res. Past projects include moving and renovating the school store, painting the press box, building benches, painting residential house rooms, working on the SAS farm, and remodeling the Alumni Offices in Langford Hall.